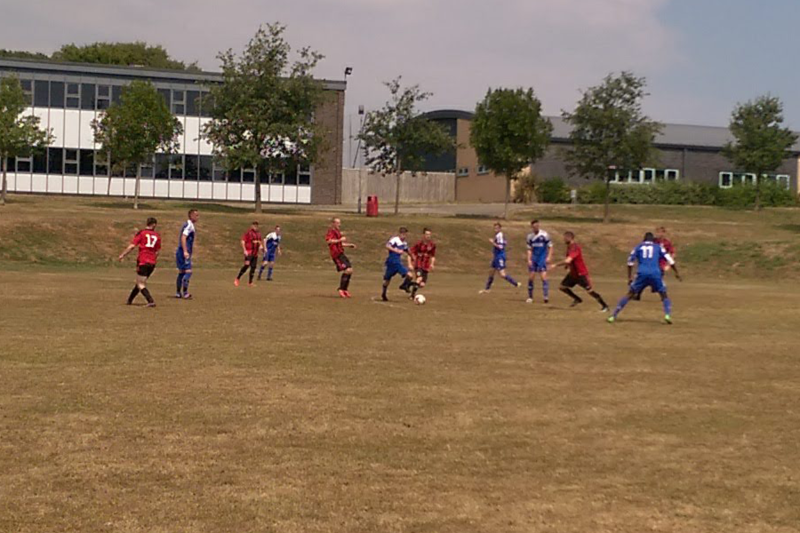 On a scorching saturday afternoon, The Chopbacks welcomed Polegate Town FC to William Parker for their first preseason friendly. 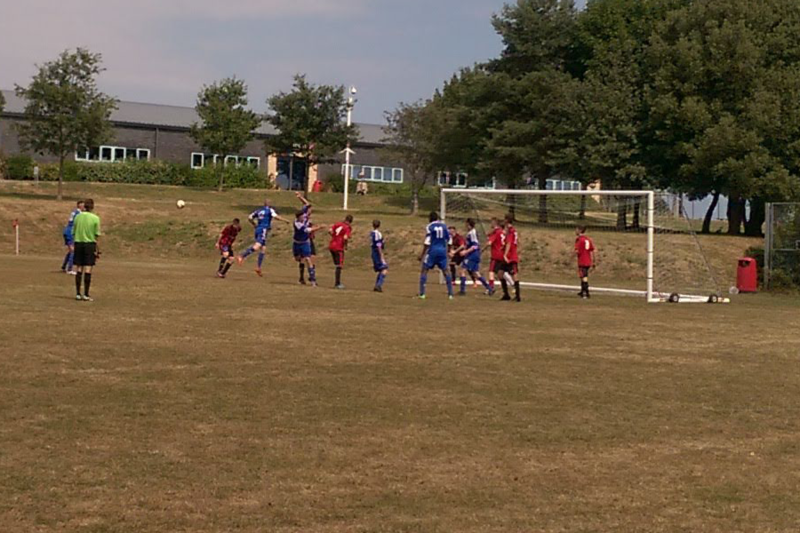 Polegate started the stronger of the two teams as they looked to take the initiative early on, solid backline work from the Chopbacks frustrated Polegate Town as they tried to work their way through to no avail. 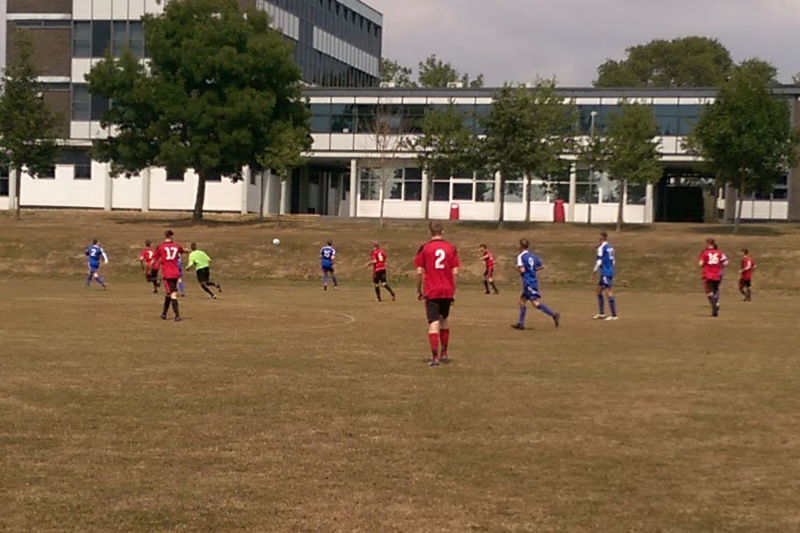 South Coast began to work their way into the match with some fine passing in the midfield, Brad Owens, new signings Dom McGurk and Penny Ryan formed a dominating midfield and 17 minutes in striker Connor Easton was bundled over 25 yards from goal. Setting the ball, Easton whipped it up and over the wall to beat the scrambling goalkeeper to put South Coast in front. 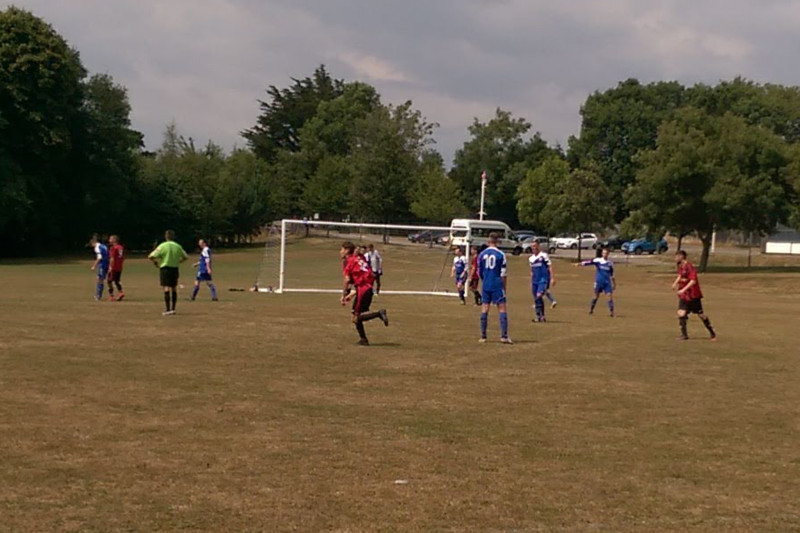 Polegate looked to push forward and grab the equaliser but the Chopbacks were giving nothing away for free and after some exquisite passing and movement around the pitch Connor Easton sent Ryan Wright through on goal for the Chopbacks 2nd of the day with 24 minutes gone. With 2 goals in the bag, South Coast began to play with more freedom, play reminiscent of the Ajax side of the 70’s could be seen as the ball was moved with no more than 2 touches. With 10 minutes of the half remaining, Jack Bloomfield was replaced by Mike Hawley to give new legs a fresh run. South Coast continued to push for the 3rd goal but it wasn’t to come, the halftime whistle went and the Chopbacks left the pitch the much happier of the 2 sides. Captain Dayle McGurk was replaced at half time by Callum Homewood and the 2nd half continued in the same manner as the first with players rolling on and off. 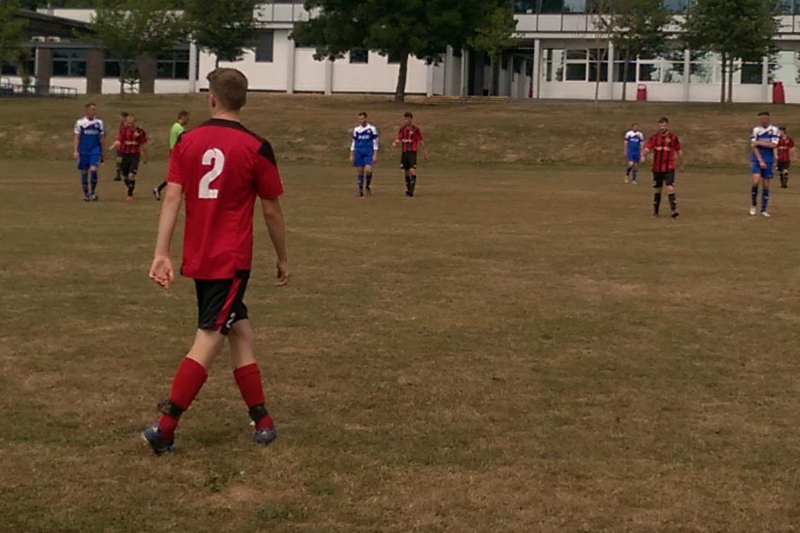 Harry Jackson found himself on the pitch and with his usual slick play and deft touches he began to pull the strings in an already formidable midfield. Just before the hour mark, new signing Dom McGurk got himself on the scoresheet, using the pace of the ball, he swung it outwards into the inside netting of the goal leaving the keeper with no chance. 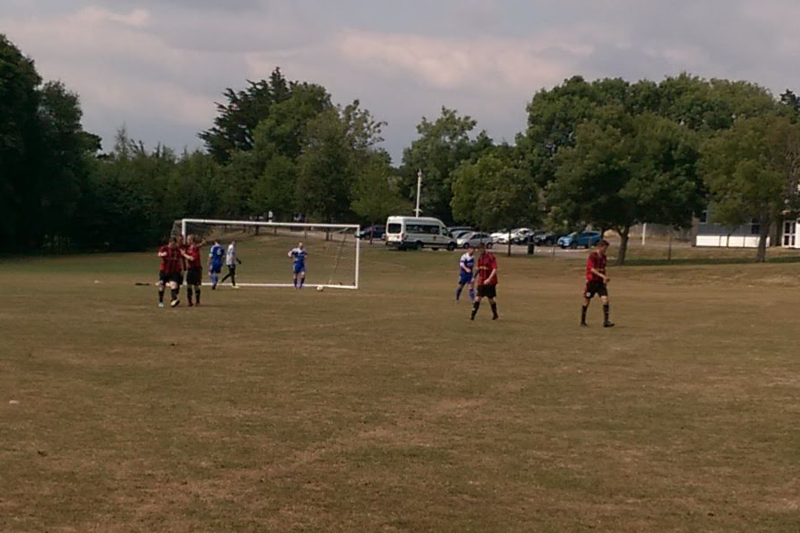 The Polegate heads dropped and the game was as good as done. Penny Ryan finally left the field of play after what was a barnstorming performance up and down the right side of the pitch and replaced by Ryan Fuller. 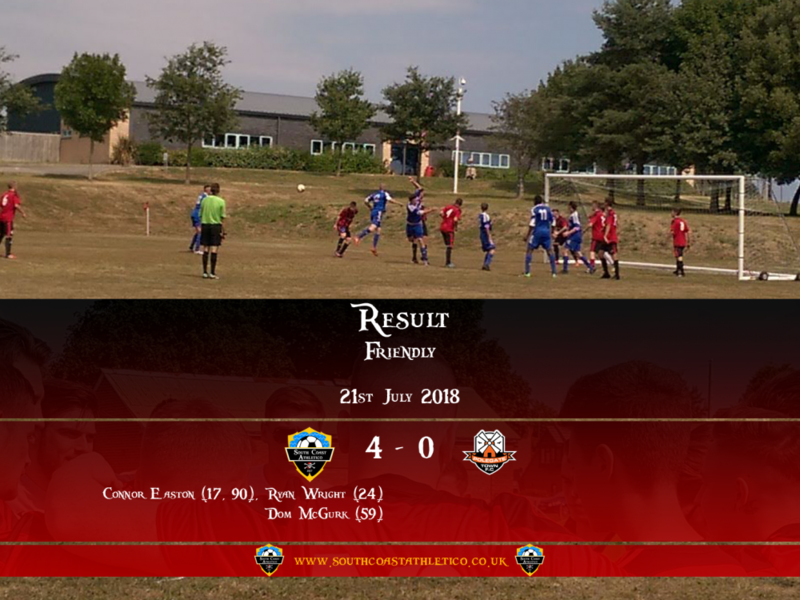 As the game began to slow down, A misplaced back pass allowed Connor Easton in to round the keeper and grab goal number 4 for the Chopbacks, rounding off a great day for the team. 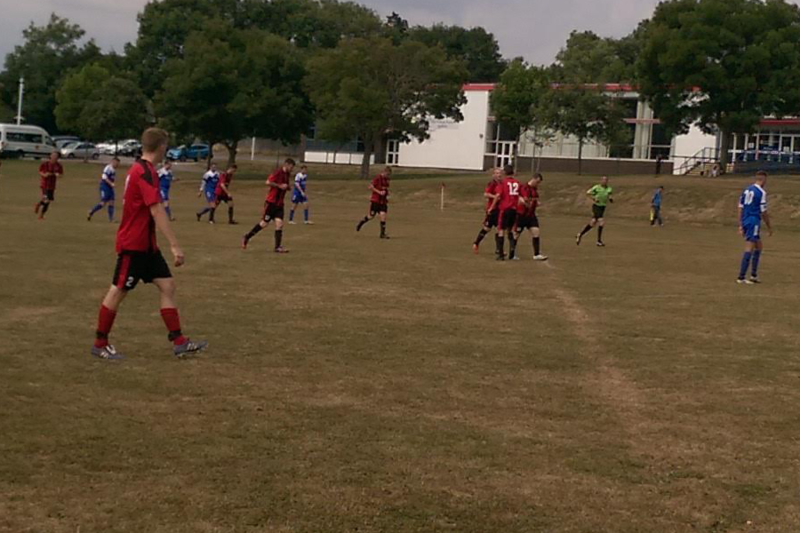 A 4-0 win and it’s back to training on Tuesday as the coaching staff look to build on a solid win.